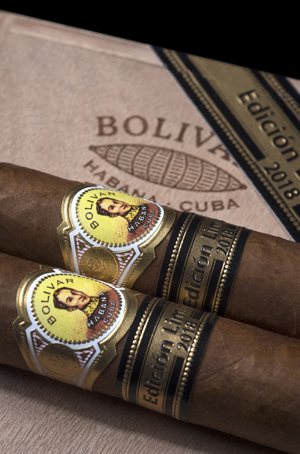 Bolívar Soberano, Limited Edition for 2018 will be presented by The Pacific Cigar Co. on 19th and 20th November in Hong Kong. The first launch of the “Duke” vitola de galera – totally unprecedented in the brand’s portfolio. 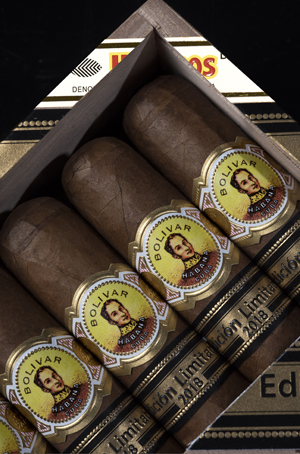 through its official distributor for Asia Pacific, The Pacific Cigar Co., will present the world première of Bolívar Soberano, ten cigars that have been created “ con – Totally Handmade with Long Filler”. Its blend, from leaves harvested in the * region, is especially appreciated by the more experienced smokers. Bolívar Soberano (54 ring gauge x 140 mm long) will be presented in a special case of 10 cigars. Soberano is the first launch of the “Duke” vitola de galera, which is totally unprecedented in the brand’s portfolio. This is a strong , allowing the cigar lover to enjoy a balanced and aromatic blend from the brand in a totally novel format. 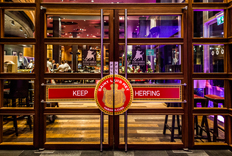 Habanos are greatly appreciated and cigar enthusiasts await their arrival with great anticipation every year. They are characterized by the fact that their vitolas are not found in the brand’s regular portfolio and they are distinguished by the careful selection of all of the leaves – , and (wrapper, filler and binder) – which have been aged for a period of not less than 2 years. All the Habanos that make up the Limited Editions are made “ con – Totally Handmade with Long Filler” from selected leaves from the * area, in the region of *, Cuba*, in very small quantities and by expert Cuban cigar rollers, who work painstakingly to meet the expectations of the most demanding Habano lovers. Bolívar Bolívar Soberano Duke Edición Limitada 2018 Releases The Pacific Cigar Co. Ltd. The outside wrapper leaf of the Habano. Filler, the blend of two, three or four different types of tobacco leaves that form the heart of a Habano and dictate its flavour. The binder leaf. Selected from the largest and finest volado leaves grown on the lower part of the plant. 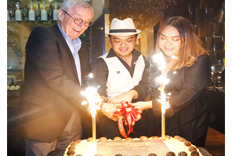 La Casa del Habano Malaysia celebrates 20th Anniversary.